Synopsis: Jackie Chan is a boy who is used as a janitor at his kung-fu school. Jackie Chan can’t fight and is always getting bullied by the teachers and pupils. One day an old man helps Jackie train in an art of kung-fu called the ‘ Snake’s Fist ‘. Jackie doesn’t get bullied again. 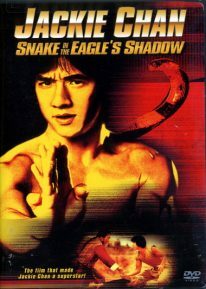 Then Jacki creates his own style and mixes it with the Snake’s Fist. His style is based on the movement and actions of a cat. One day the old man is in trouble by a man who does ‘ The Eagle’s Claw’ and Jackie helps the old man.